I’d mistakenly written-off ZZ Top by the time I saw them at Alpine Valley in 2003. It took less than a minute into their first song for me to realize how strikingly wrong I had been about this Texas Blues-Rock band. I’m not going to tell you anything you don’t already know about these guys. Yes, they formed in 1969. 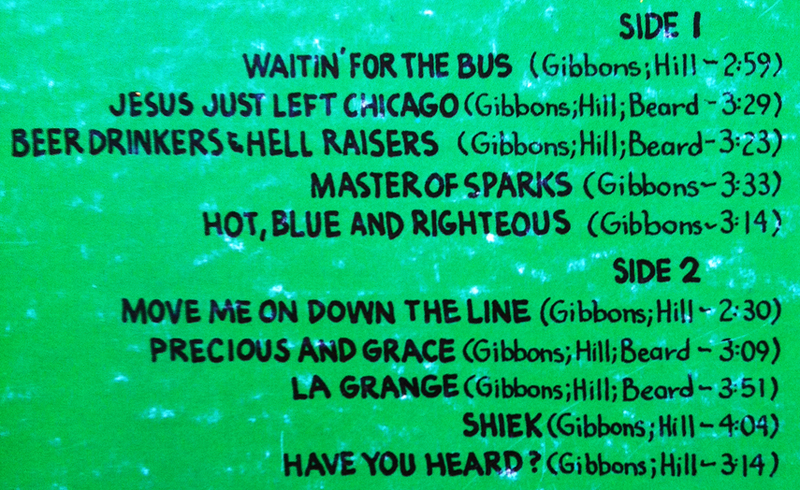 Yes, they’ve been around for over 40 years, yes they are still touring and yes, the three members have ALWAYS been Billy Gibbons, Dusty Hill and Frank Beard (listed on the back of this album as Rube Beard). What I will impart on you is the desperate suggestion of not doing what I did. Don’t write-off this band without giving them a proper listen. This is 1973, and this is American Blues-Rock at its finest. 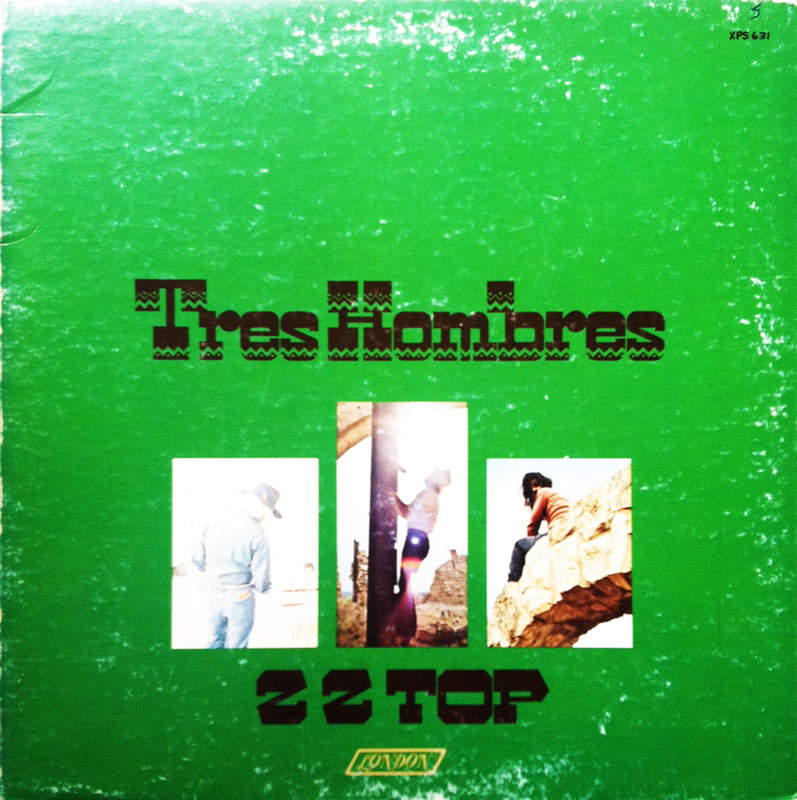 Tres Hombres (translates to “Three Men,” courtesy of The Prudent Groove) is ZZ Top’s first Top Ten record, and the band’s third release overall. Although ZZ Top’s First Album (1971) and Rio Grande Mud (1972) offered a glimpse of the unquestionable talents of these “Three Men,” it wasn’t until Tres Hombres and its soul-crushing hit, La Grange, that the music world saw just how incredible this Texas band was. La Grange is a nonstop, blood-boiling staple of Blues inspired Rock ‘n’ Roll. It’s chock-full of hard-rocking fire with a groove so catchy, you’ll swear you’re hearing it blasting from a dead-silent room. If you ask me, ZZ Top never reached the creative watermark set by La Grange, but looking back at their extensive catalog throughout their 44-year existence, they’ve come pretty damn close a number of times. Do yourself a favor and pay attention to those rumors spreading around about that brothel outside La Grange, Texas. Word has it they have a lot of nice girls-ah! Oh, and don’t forget a ten-spot for the door. So I was just at Ivanpah Dry Lake for 3 days and 2 nights and this dude from Vancouver was playing La Grange on the guitar in the camper and I was like, yo! Bangin’ tune! Such an epic groove. Good trip? And remember driving through La Grange, Wisconsin to get to that show. I have to say, that show at Alpine was the perfect mix of songs from the classic, blues-rock era, the 80’s MTV hits, and the newer, heavier stuff. If I recall, this is where you got your ZZ Top keychain.